Seed saving and seed exchanges are playing a crucial and increasing role in ensuring continued biodiversity and a robust variety of food. But these practices have come under political pressure in recent years. This issue will be discussed by a panel of experts at the Food Policy Conference within FamilyFarmed‘s Good Food Trade Show and Industry Conference this Friday at Chicago’s UIC Forum. The panel, which takes place in Room G from 10:45 a.m.-noon, is composed of Rebecca Osland, policy associate of the Illinois Stewardship Alliance, who contributed the article below; Dan Kenney of the DeKalb County (IL) Community Gardens; Sarah Hernandez of UIC Heritage Garden; and Illinois state Rep. Will Guzzardi. Jeff Hake, farmer training program manager for The Land Connection, will moderate. 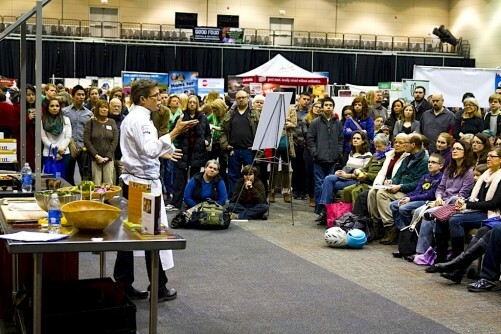 The Friday events make up the middle day of FamilyFarmed’s 12th annual Good Food Festival & Conference. To learn more about all the activities, click here. To purchase tickets online, click here. Seed libraries have been sprouting up all over the state of Illinois, and around the country, but not without growing pains. Rebecca Osland of the Illinois Stewardship Alliance contributed this article about seed saving. 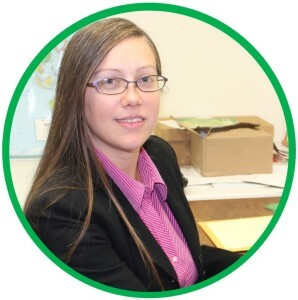 She will be participating on a panel about the topic at FamilyFarmed’s Good Food Policy Conference this Friday. At FamilyFarmed‘s Good Food Festival & Conference this week, you will get a chance to see a demo of a portable seed library, and learn more about policy work that is underway to protect seed sharing activities. “Our Seeds Are in Need” panel takes place at the UIC Forum, on the University of Illinois at Chicago campus, on Friday as part of the three-day event’s Good Food Policy Conference. Illinois State Rep. Will Guzzardi is joining seed advocates in the discussion to help you understand the issue and what actions you can take to protect seed sharing! One step you can take right now, if you are an Illinois resident, is to sign on to a letter to your state senator by clicking here. In 2014, the departments of Agriculture in the states of Minnesota and Pennsylvania cracked down on seed libraries as if they were commercial seed companies subject to their state seed laws. The cost and burden of compliance threatened the existence, and thwarted the purpose, of these seed libraries. Existing and prospective seed libraries around the country began to worry that the same could happen in their states, and a movement to protect seed sharing began. So what is a seed library? Seed libraries generally work by receiving donations of seed, checking them out to people free of charge, and then receiving back donations of seed that community members successfully save. Frequently they are, in fact, housed in public libraries, or they may be run by nonprofits or community groups. 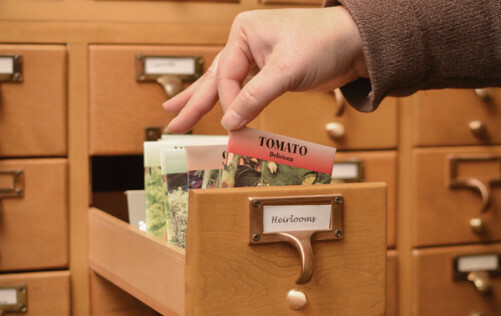 Many seed exchanges are not only located in public libraries, but use the drawers of old-style card catalogs to organize the seed packets. Photo courtesy of Ruralite Services. Seed libraries offer a mechanism for protecting biodiversity and food security; preserving cultural culinary tradition; encouraging gardening, healthier eating, outdoor exercise, and community. They help develop important — but increasingly neglected —life skills in which people have been engaging since the beginning of agrarian times. These are very positive shared community resources, and should not be treated like commercial seed businesses. The city of Duluth agreed, and passed a City Council ordinance standing up for seed sharing and asking the Minnesota legislature to stand up and do something too. In 2015, Minnesota did stand up, reversing course and passing a bill to exempt noncommercial, interpersonal seed sharing from testing, labeling, record-keeping and permitting requirements! And just this month, news came out of Pennsylvania that the state’s Department of Agriculture has now determined that seed libraries, and other non-commercial seed exchanges, are not subject to the testing, labeling and licensing requirements of their law after all. Nebraska also proactively passed legislation in 2015 that carved seed libraries out from the definition of “sale” in their state seed law, so that none of the commercial provisions related to sales apply to seed libraries. Last year, in Illinois, prospective and existing seed libraries were concerned about the legality of their activities after hearing of the initial Minnesota and Pennsylvania enforcement actions, and asked for clarification of the Illinois Seed Law. 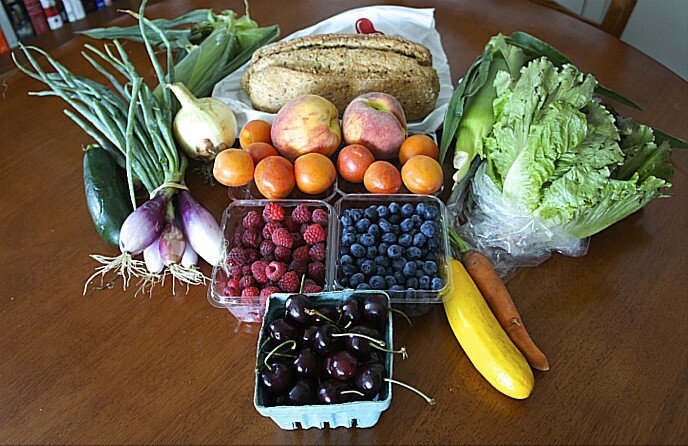 The Illinois Stewardship Alliance (ISA), a nonprofit working on local foods and sustainable farming issues, is working with state Sen. Sam McCann to pass SB3130 and protect seed sharing from burdensome requirements. This bill would clarify that commercial seed requirements do not apply to noncommercial, interpersonal seed sharing activities, including through a seed library or through other seed sharing activities. In our analysis, it would already be illogical and inappropriate to hold seed libraries or other informal seed swapping activities to the requirements of the law. ISA, however, seeks to create greater certainty, since the definition of “sell” in our law includes “giving away.” That may be appropriate for promotional commercial give-aways, but should not envelope noncommercial seed sharing among community members. This bill seeks to exempt seed sharing activities from the testing, labeling, record and sample retention, and permitting requirements of the law. It would, however, prohibit the sharing of patented or treated seeds, as well as noxious or exotic weed seeds, and it retains sections of the law giving the Illinois Department of Agriculture authority to pursue violations of the noxious weed seed prohibitions. Testing requirements: The law requires testing at least 400 seeds of every lot, which is not a scale that reflects seed sharing activities. The cost of testing is set by regulation at $4 for germination and $5 for noxious weed seed tests. That total of $9 is very unreasonable for each of the many small batches of seeds from all participating community members. Seed sharing should make gardening less expensive, not more. In seed sharing, there is an understanding that germination may be at one’s own risk, and seed libraries are positioned to provide education on best practices to enhance success. Labeling: While labeling is important, many of the items the law requires pertain to seed testing results, and also include things such as “lot” number. Seed libraries can set their own requirements for information such as the variety of the seed, year and donor. In more casual person-to-person direct exchanges the donor and year are known between the two parties and the labels tend to be even more basic, which the parties should have the right to accept. The state of Illinois does not need to mandate label contents. Yet, to begin with, there are no shipments involved. If this law were applied to seed sharing, each individual who shares seed could be expected to retain records and samples, making them available to the department “during customary business hours.” Seed libraries can keep their own records, and, again, the state should allow them to determine their own best practices. Record-keeping in less formal seed sharing activities is not likely to occur or be in any way enforceable. Permitting: The state should not charge people for engaging in noncommercial seed sharing. Regulators suggested, as an alternative, that people give them two-week advance notice before any seed sharing activity, and submit lists of all individuals contributing to seed libraries as well as the types of seeds contributed. Such requirements would result in both low compliance and, at the same time, a probable chilling effect. Seed sharing is an activity that people have presumed to be an unregulated freedom that they already have, to grow food and freely share with one another the products of nature and their own work, encapsulated in seed. Regulators have expressed the view that all exchanges of seed are of concern. They have noted that there could be the opportunity for someone to introduce noxious weed seed or bioengineered poison-producing seed into a seed library or seed swapping event, though they acknowledge the unlikelihood of that possibility. It is easier to prevent accidental weed seed contamination when saving seed by hand from a garden than when commercially harvesting it by machine, so the fear is really that someone will intentionally and maliciously contribute such seed. Regulating seed sharing activities is not the answer. Nonetheless, this is a perspective that legislators will be hearing from regulators. It is up to us to make sure that our legislators also hear from us, and hear from us loudly. We all need to stand up to protect our right to share seeds with our friends and neighbors. Won’t you contact your state senator today to ask for their support? Click here to sign on to a letter to your state senator. Also, please join Illinois Stewardship Alliance on Thursday, April 7 at our Local Foods Lobby Day at the state Capitol in Springfield to speak with your legislators about this, and other important food and farming issues. Details and registration are available here. See you at the Good Food Festival this week! This entry was posted in Biodiversity, Food activism, Food and community, Food policy, Food Policy Conference, Seeds and seed saving and tagged DeKalb Community Gardens, FamilyFarmed, FamilyFarmed Food Policy Conference, Good Food Festival & Conference, Good Food Trade Show & Industry Conference, Illinois state Rep. Will Guzzardi, Illinois state Sen. Sam McCann, Illinois Stewardship Alliance, Seed exchanges, Seed saving, Seed saving legal issues, The Land Connection, UIC Heritage Garden. Bookmark the permalink.